Love to Ride? Join in Cycle September and be in with a chance of winning – Sheffield Urban CX 2018 – Entries Live! Our series sponsor, ‘Love to Ride’, promote cycling for fun, fitness and transport across the UK and worldwide, with a particularly strong community of over 12,500 members in Yorkshire. The urban setting of the Sheffield Urban CX series lends itself to this ethos, and it has been great to see people using cycling as a way to come and watch the racing. Rosie Frazer is one of the Love to Ride Ambassadors for South Yorkshire. Currently she is busy getting ready for Love to Ride’s main event, Cycle September, an initiative that is all about getting more people on bikes by helping workplaces encourage their staff to ride. So we asked Rosie to tell us a bit more about how to get involved with Cycle September. Sheffield Urban CX : So Rosie, what’s Cycle September all about? 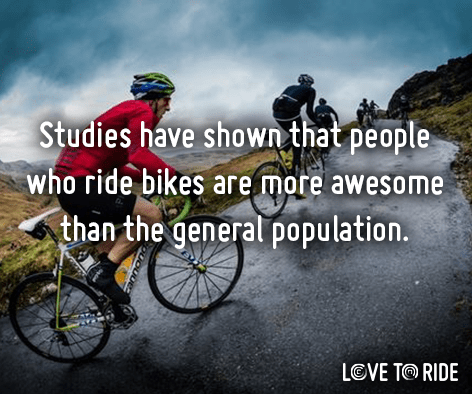 Rosie – Love to Ride: Well we want more people to rediscover riding and how it can make you healthier, happier, and wealthier! For the month of September workplaces will compete against one another to see which can encourage the highest % of staff to ride a bike. Individuals are welcome to take part too! Sheffield Urban CX: There are some great incentives with Cycle September, how can participants be in with a chance of winning? Sheffield Urban CX: Sounds exciting! What can participants win? Rosie – Love to Ride: We have over £5,000 worth of prizes up for grabs! Including bikes from Mango, gear from Proviz, bags from UPSO, navigation bells from Blubel and lots more! Plus the winning teams in each size category will win a prize from Cyclehoop to help their staff to continue riding. Check out the full list of prizes here! Sheffield Urban CX: Sounds like a fantastic reason to get cycling, do you have any advice for would be participants, and are there any new features for Cycle September 2018? Rosie – Love to Ride: Ride anytime, anywhere during September and log it on your Love to Ride profile. You don’t have to commute to work to take part, you and your colleagues can ride wherever and whenever you want! If you’re racing or riding to the Sheffield Urban CX – round 3, at The Olympic Legacy Park this is a great chance to rack up some additional miles at the start of September! New this year; we’re going global! Your organisation will compete against others of a similar size on a local, national and global leaderboard! Sheffield Urban CX: Thanks Rosie, we are registered already and we loved last years campaign, we are also really grateful for Love to Ride been series sponsor for 2018. Do you have any information on the website if people want to get thier friends / colleagues involved.